Important note: The Refined Video activity should not be added to a course page where a previous “Connect Video” activity or "Flash Video" tag exists as this will cause a version conflict with the new JW Player 7, causing the video to produce an error. The Refined Video activity integrates with the JW Player allowing videos to play directly on a course page in the LMS and tracks if your users have watched the entire video or just a portion of the content. 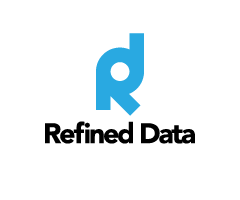 As the use of videos becomes more and more popular and the technology spans the global the Refined Video activity supports closed captioning and multi-lingual files so users can watch the video with captions in their preferred language. Use the Site administration settings to setup closed captioning and define the system level defaults for the Refined Video activity. From this setting page you are able to define the system level path where videos are stored. If defined, when creating activities on the site, this path will be pre-pended to URLs that are not fully qualified. Further down on the page you will have access to set system defaults for the activity settings which will be inherited when adding the Refined Video activity at the course level. To benefit from the closed captioning options available, you must first enable the file path in the Site administration settings and provide the file extension for the closed captioning files associated with the videos. Important Note: All this content must be stored in a central location and the closed captioning files must follow the same path as the corresponding video for the JW Player to associate the file with the video. The system will look for the URL with the same path as the video URL but with the indicated file extension, such as SRT. You need to enter the URL to the video location, this will require the full path unless specified in the site administration settings. Next, provide an activity name for the video, this will be how the activity is labeled throughout the system and in reports such as the Grader Report. Note: if using closed captioning, this must be enabled at the system level. Once enabled, the system will look for the URL with the same path as the video URL but with the indicated file extension, such as SRT. The language options available depend on the language packs install on the platform. By default, the video player will be embedded on the course page. If preferred, users can be directed to an activity page to access the content. Setting the width to a percentage value allows the player to become responsive otherwise, the width and height can be defined by the number of pixels. The URL of the layover image will point to an image that will display in the player before playback starts. In the case of audio-only content the image layover will appear during the playback. This URL can be defined at the site administration level and overwritten on the activity level as required. The Refined Video activity provides access to controls from the JW Player. These settings allow you to adjust the aspect ratio for the playback screen, determine if the user will have access to the player controls, auto start the video on page load, automatically mute the video on start up, define the rendering mode and enable Andorid HLS. When restricting access to the controls it is recommend that you are not using the options for closed captioning and multiple language files. Removing access to the controls will remove the ability for users to select their preferred options. Enable the auto-start option when restricting the access to the controls so the video will play for the user. Note: This may impact the results if simple grading is set as as users would then receive grade by virtue of opening the page. The option to stream to an Android device is made available by JW Player. We have provided the setting to our clients to use at their own discretion. Our testing has shown that closed captioning options are not available on Android devices when this setting is enabled. We welcome any feedback from the community. There are two grading options available for the Refined Video activity. The basic option is called Simple grading and this will give the user 100% just by clicking on the play button. The second option is Interaction grading where the user are graded on the amount of the video they have watched. Using the provided thresholds, the percentage of the video watched can be translated in to the grader report as a grade percentage. Leaving the threshold set to their default value the position the users reached will then be recorded as a percentage in the grader report. The positions are points along the video automatically created by the system. Each video is sectioned in to 10 different positions. If a user experiences difficulty obtaining a grade for watching a video, the site log will display if all 10 video positions were reached by the user. From inside the course where the video is located, go to the Grader or Activity Completion report then click on the name of the user who has reported an issue. This will take you to their profile page. Then from within their profile, go to Administration >> Profile Settings >> Activity reports >> All logs.